I have a soft spot in my heart for the Pentel Sharp Drafting Pencil. It is the first quality mechanical pencil I remember using, and was ubiquitous in offices around the world for decades. Remember the time when you had access to decent quality office supplies at work? Me neither. 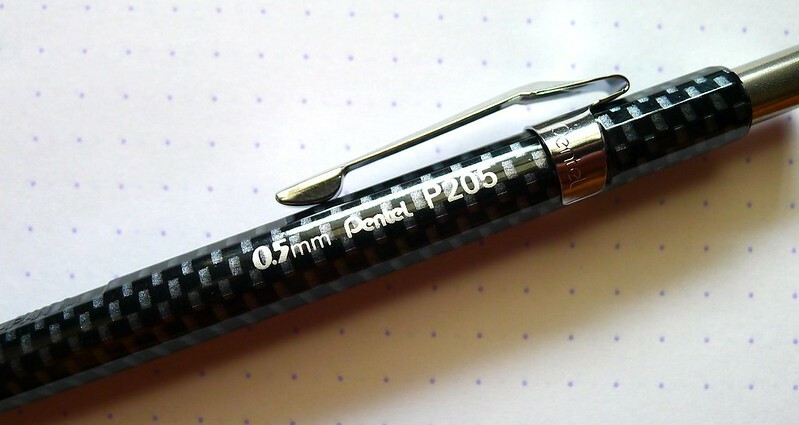 Pentel has done a nice job of keeping the brand alive, releasing a metallic plastic body last year and the Carbon Black plastic body this year. It actually took me several months to get this one from JetPens because it would keep selling out every time it restocked. Pentel Sharp fans love their pencils! What has kept the Sharp so popular for all of these years is the simple but highly effective barrel design. Featuring a slight taper from around mid-barrel to the grip area, it fits the hand just right. The taper continues down through the tip section as well, giving users an unrestricted view of their work. No wonder it was so popular with architects and engineers in its heyday. The Pentel Sharp's heyday is still here in my opinion. Sure, pencils like the Uni-ball Kuru Toga have surpassed it with technological advances, but as with other classic designs there will always be room on the desk for something this great. 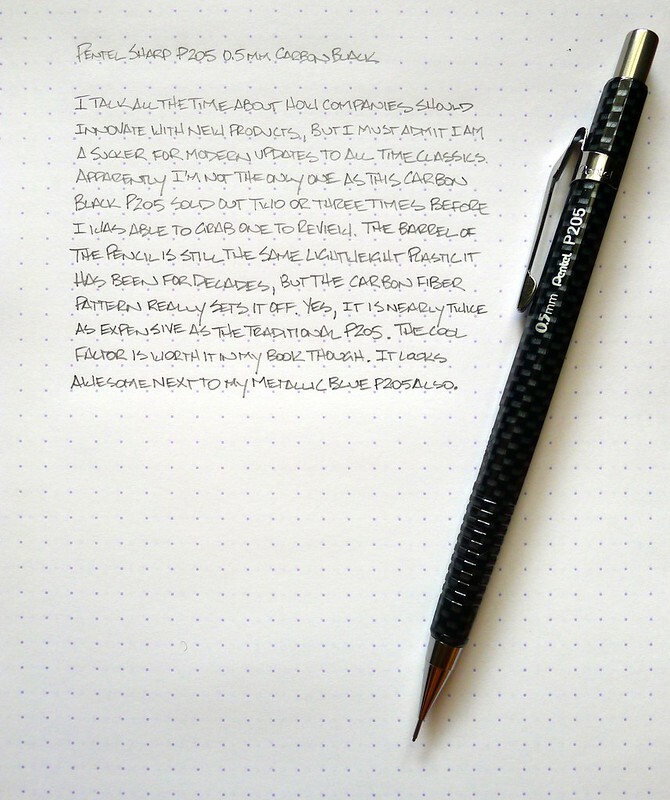 Posted on September 23, 2013 by Brad Dowdy and filed under Pencil Reviews, Pentel, Sharp.